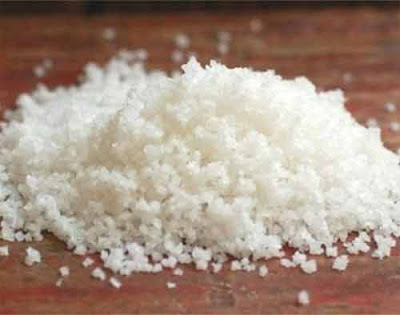 In many regions in India during Hindu marriage, salt is given as a gift to the bride and it is taken to her new home. Sabut namak or rock salt is given to the daughter by parents. She takes it to her husband’s home. Salt is associated with auspiciousness and this is the main symbolism. It is believed that bad luck will hesitate to enter the house in which rock salt is used and it helps in maintaining peace and prosperity. The salt carried by the bride helps in alleviating poverty as she is bringing the blessing of Goddess Lakshmi. There will be unity and love among family members and this will help in the progress of the household. It helps in keeping negative energy out. Salt should be added to the water used to clean the house – while mopping the house. This helps in keeping out negative energy.